(Click on the image for a bigger view) Saturday evening last week I was invited to a double-birthday party for a local musician, David Hafter, and his son Noah, also a musician. 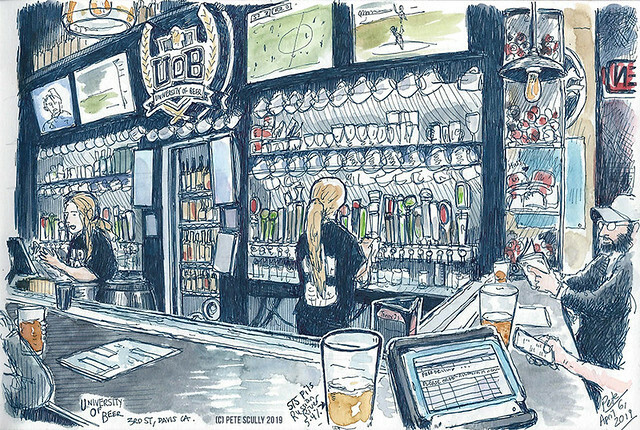 It was at a place called Third Space, on Olive Drive in Davis, and I sketched the above panorama because panoramas are what I’m sketching! 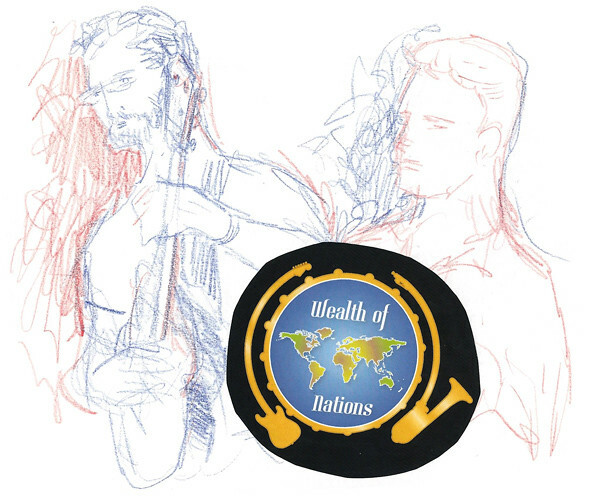 But I also did a couple more; below left, a sketch of Noah playing his set (I gave the sketch to him), and one of Neon Lights (bottom right), many of the members of whom also play in David Hafter’s band Wealth of Nations (above). 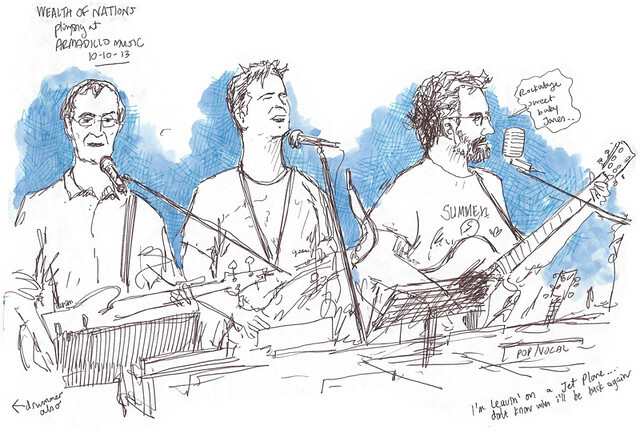 Regular visitors may remember that I sketched this band before on a couple of occasions in the Fall. 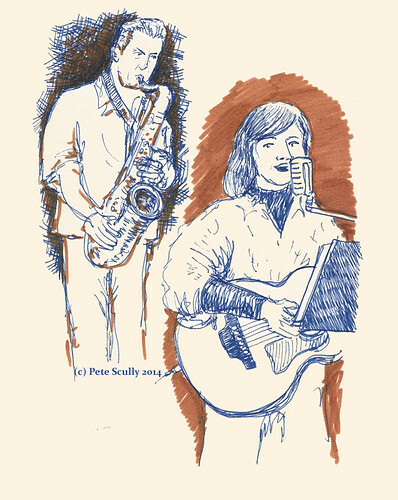 The music was very nice, and I always sketch more quickly when listening to music – it’s the rhythm I think! Anyway, it was a nice evening, and many thanks to David for the invite. 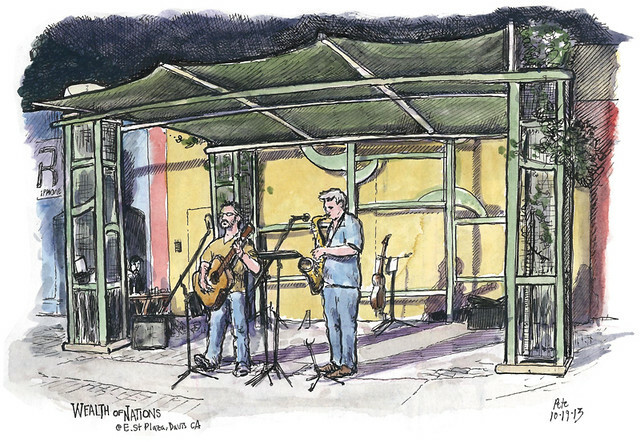 A couple of weeks ago, I went downtown on a Saturday evening (nursing an injured leg, having pulled my groin playing football) and saw a local band called Wealth of Nations playing in the E Street Plaza. 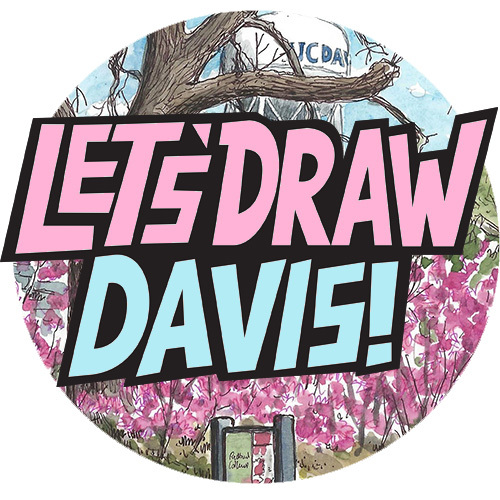 An excuse for some night-time sketching, and to listen to some good music. 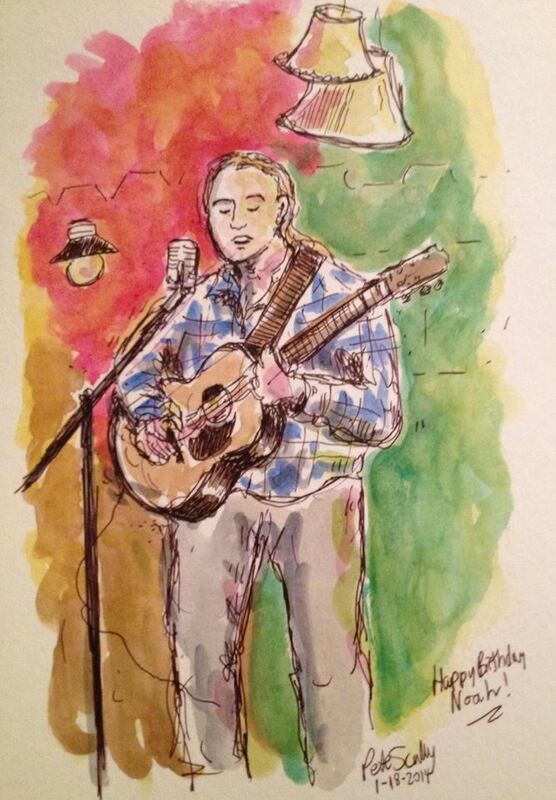 I had sketched the singer David Hafter before at the Farmer’s Market a couple of years ago, he has a great voice. 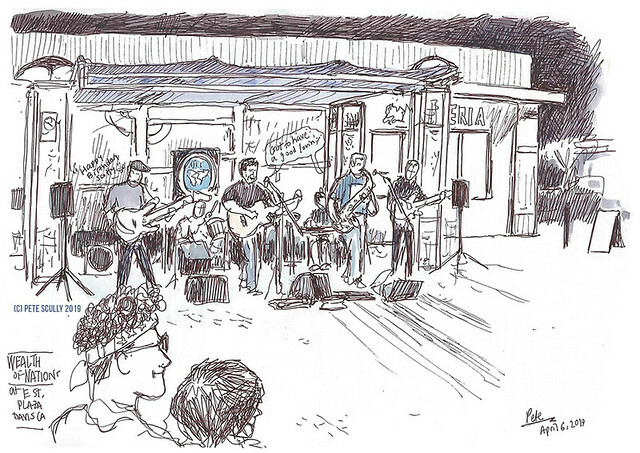 I had happened across the band earlier in October while passing Armadillo Music and recognised his voice as I was passing by, so popped in to listen and to sketch (see below; the whole band were playing but the drummer was hidden).